Ukulele #39 is a 16" Concert with Alaskan yellow cedar top and figured myrtle body. The fretboard and bridge are ziricote. It's coming to life today as I will attach the neck and bridge, always a highlight of the building process! To achieve this customer's tonal and visual goals, I presented him with four choices for a top wood. From left to right: Adirondack spruce, Sitka spruce, Alaskan yellow cedar and Port Orford cedar. He chose the Alaskan yellow cedar top because of its tonal qualities and how nicely in matches the myrtle body. My concert, tenor and baritone designs use cantilevered fretboards. 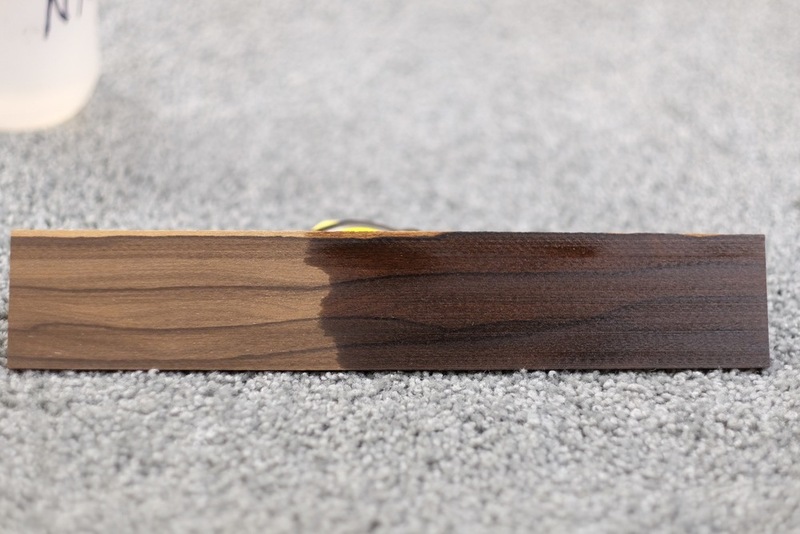 As with many things in instrument design and construction, it just isn’t possible to know with scientific precision whether lifting the fret board off the top improves the sound of an instrument. Any acoustic instrument is a complex system with many variables that are difficult to evaluate in isolation. However, experience suggests that the extra effort to cantilever the board does pay off. Here’s the logic. Virtually all of the sound is generated by vibration of the top when it is excited by the energy of the strings that is transmitted to the top through the saddle and bridge. A ukulele top doesn’t have much area compared to a guitar and the more it is free to vibrate, the better. It has been argued that the upper bout doesn’t contribute much if anything to the sonic output. While this may be true, it is also true that if the upper portion of the top is firmly fixed by the board, the adjacent area of the top from the sound hole down will be at least slightly inhibited from vibrating as much as it might if the whole top were free. Cantilevered boards are found in a few other ukuleles and in some guitars. Other small instruments that use cantilevered boards are violins and mandolins and given the untold number of these that have been built this way for hundreds of years, it can hardly be considered a radical or unproven idea. That’s not to say that ukuleles with cantilevered boards are necessarily better than conventional designs, only that my way of doing it is one of the paths to a good outcome.